NEW BRUNSWICK, NJ -Kenneth H. McKeever, Professor in the Department of Animal Sciences at Rutgers University and Associate Director of Research, at the Rutgers Equine Science Center, was elected President of the Equine Science Society (ESS) at its bi-annual meeting, June 2, 2017 in Minneapolis. The Society is the preeminent international body of equine researchers, teachers, extension specialists, and industry representatives whose focus is to promote quality research in the areas of equine science. 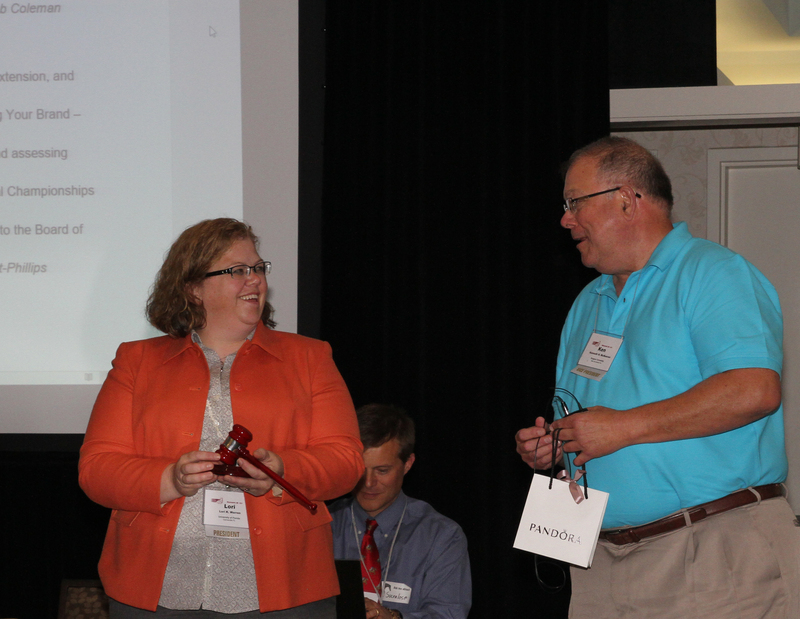 as thanks for her meritorious service to the Society at the 2017 Equine Science Society meeting in Minneapolis, MN. McKeever will serve a two-year term as president, after previously serving on the Board of Directors as secretary/treasurer and vice-president. Carey Williams, Associate Professor in the Department of Animal Sciences at Rutgers University and Associate Director of Outreach at the Center, was also elected to the Board of Directors where she joins Center Director, Karyn Malinowski. For more information about Dr. McKeever’s research, please contact Kyle Hartmann at kylehart@njaes.rutgers.edu or 848-932-9419.